There are various stages in the chargeback process. If you wish to fight a chargeback (also known as chargeback representment), you’ll have to write a chargeback rebuttal letter. Get it in Writing, NOW! Technically, the most important part of the chargeback representment process happens before the transaction even takes place. In order to file a successful rebuttal letter, you must have the proper documentation. Depending on the reason for the chargeback, you will need to supply written documentation that supports your side of the story. Whether you are trying to prove the item was delivered or the cardholder authorised the transaction, the bank won’t simply take your word for it. A lot of ecommerce software programs will automatically track the pertinent information that will help you draft a chargeback rebuttal letter. However, it is wise to double check now. Make sure you are acquiring all the necessary information so you are prepared when the time comes to dispute a chargeback. A chargeback rebuttal letter is dependent on compelling evidence. Your written explanation of the case will need to be supported by persuasive documentation. After reviewing and approving the cardholder’s transaction dispute, the issuer will send the chargeback along to the acquirer. After debiting the merchant’s account, the acquirer will notify the merchant in writing (a form usually called Chargeback Debit Advice, Chargeback Adjustment Advice or Chargeback Advice). Because your acquirer will send the Chargeback Advice letter on the same day your account is debited, you might noticed the bank account adjustment before the written notification arrives in the mail. The transaction amount and the chargeback amount. A chargeback can be filed for the full or partial amount, but cannot exceed the amount of the original transaction. The action(s) already completed by your acquirer. The adjustment date (or date the chargeback was received by your acquirer). The case number assigned to the chargeback. Include this number on all relevant documentation submitted with the rebuttal letter. The cardholder number (or card number) for the transaction. The 23 digit identification (or reference) number assigned by the card network when the transaction was processed. The Chargeback Advice letter will be accompanied by a Chargeback Adjustment Reversal Request. 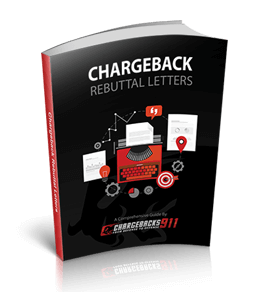 This document will help you formulate your chargeback rebuttal letter. Be sure to provide all the requested information in the Merchant Action Necessary to Remedy Chargeback section. There isn’t a lot of available space to state your case on the Chargeback Adjustment Reversal Request. Feel free to elaborate in a professionally typed letter on an additional sheet and write, “see attached document,” in the section provided. Often times, chargebacks seem to emerge out of the blue. In fact, the cardholder can sometimes wait up to 120 days to dispute a transaction. But just because the dispute catches you unaware doesn’t mean you can take your time acknowledging it. In most cases, you’ll have less than a week to submit your chargeback rebuttal letter. That isn’t a lot of time to create a compelling argument! Depending on your merchant agreement, the Chargeback Advice letter will either come in the mail or via fax. If your current arrangement is to have the Chargeback Advice letter mailed to the business, you might want to switch to fax; this ensures you have the maximum amount of time available to formulate your defence. 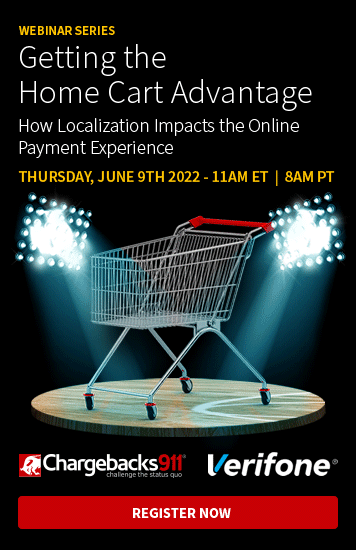 The information provided here is intended to serve as a basic guide for merchants who are adamant about do-it-yourself chargeback management. DIY efforts are sometimes capable of addressing the ‘low-hanging’ fruit, the chargebacks that are issued in error or are obvious mistakes. However, DIY chargeback management without professional oversight is not recommended in the vast majority of situations. The individual banks, card networks and processors all have different guidelines and successfully disputing a chargeback is often incredibly complex. By sending wrong, incomplete, or misleading information with the rebuttal letter, you can actually do more harm than good. Even outsourcing the task can be dangerous if you partner with the wrong service provider. Some firms simply send automated details that can damage your reputation with the issuer. Professional assistance ensures a higher win-rate without damaging your reputation or increasing risk. If you’d like to learn more about the services available at The Chargeback Company, including assistance with representment and rebuttal letter writing, contact us today. Our ROI Guarantee ensures that you have nothing to lose.